Karaoke creates its own culture, while reflecting much about the wider culture and the place of popular music as a media form. 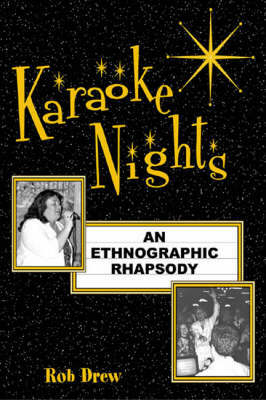 Its complexities and nuances make karaoke a marvelous ethnographic subject, and Rob Drew is compelling in his experience and understanding. Karaoke Nights is both a keen observation on the external behavior of deejays, performers, and audience and an intimate portrait of the emotional rollercoaster that is the internal life of a karaoke singer.